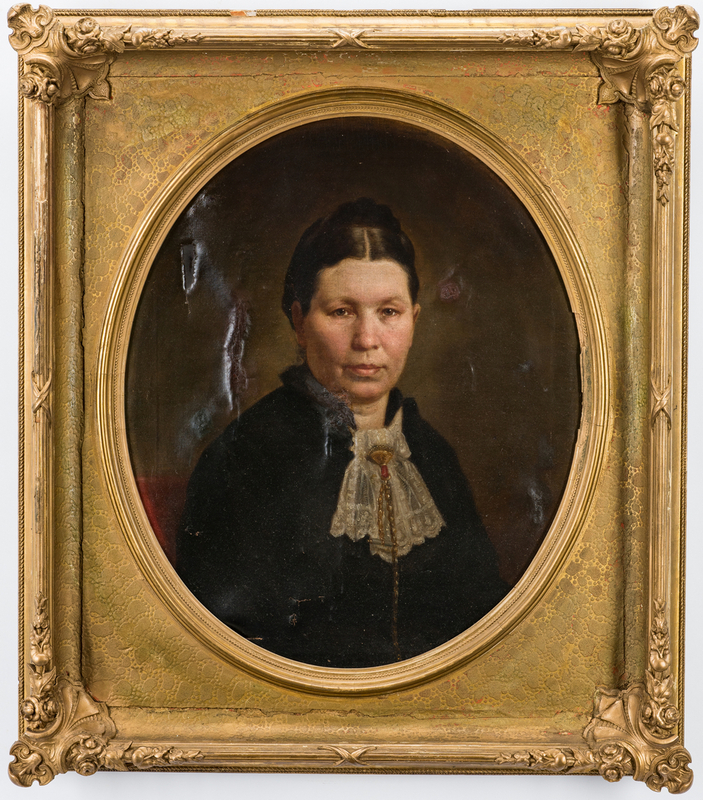 George Dury (Tennessee, 1817-1894) signed oil on canvas half-length portrait of Mary Carroll Donelson, wife of William Donelson and sister of TN Governor William Carroll. 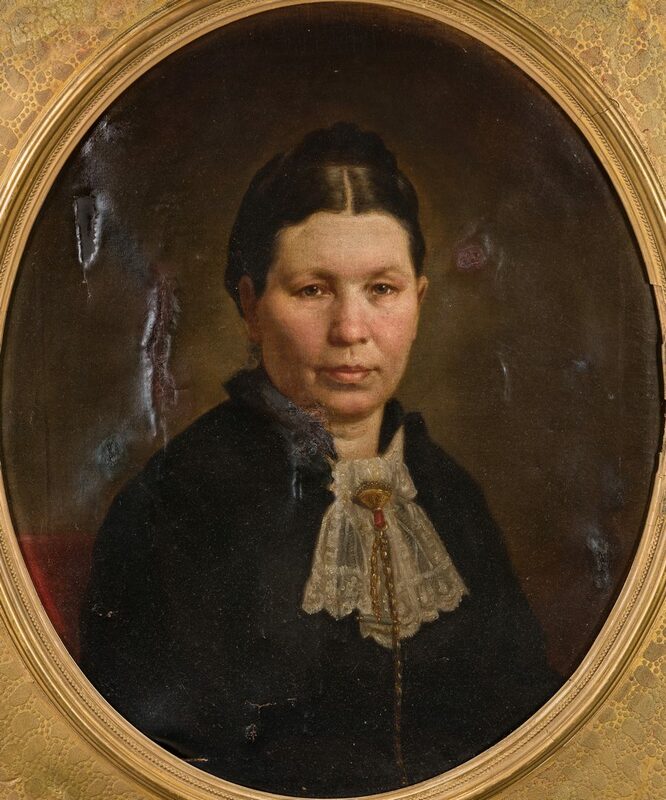 Depicted seated in a black dress with tied lace at the neck and an attached gold and coral chatelaine. 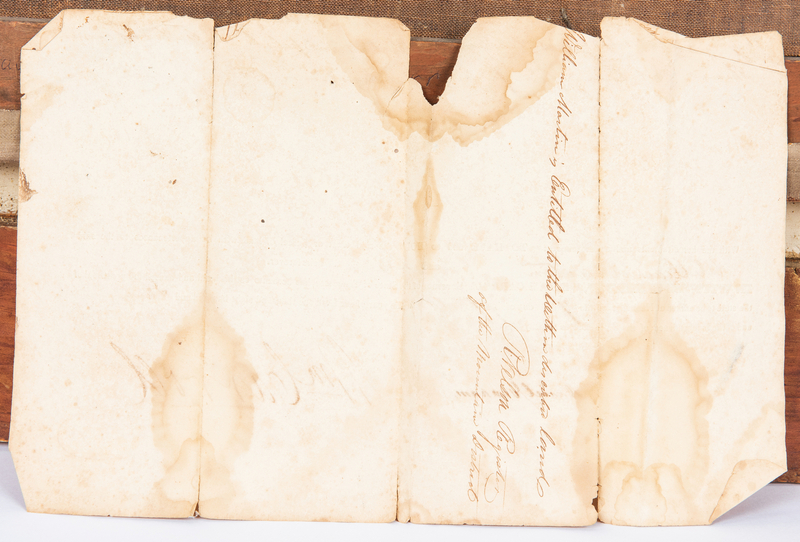 Inscribed en verso "Mrs. Wm. 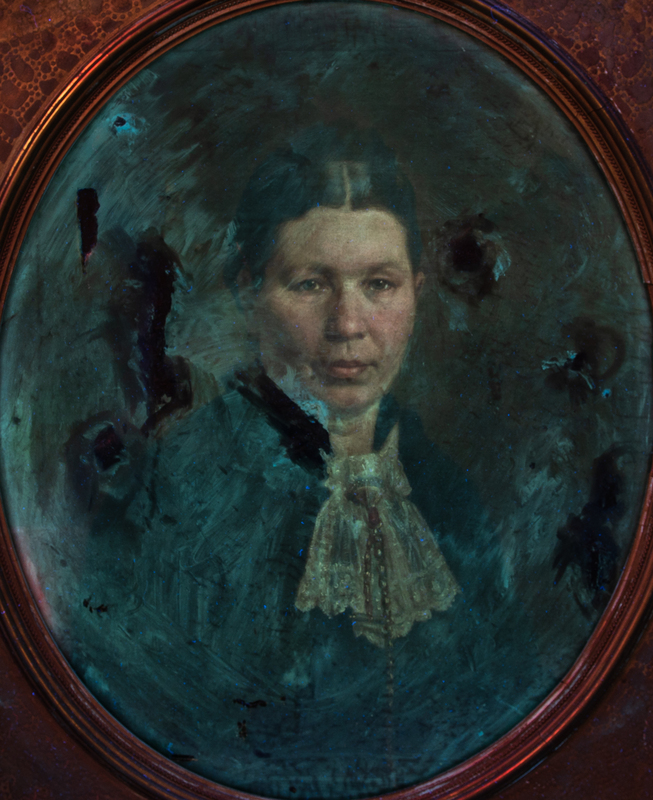 Donelson (Donaldson)/(Mary Carroll)/Sister of Gov. Wm. Carroll of Tennessee." 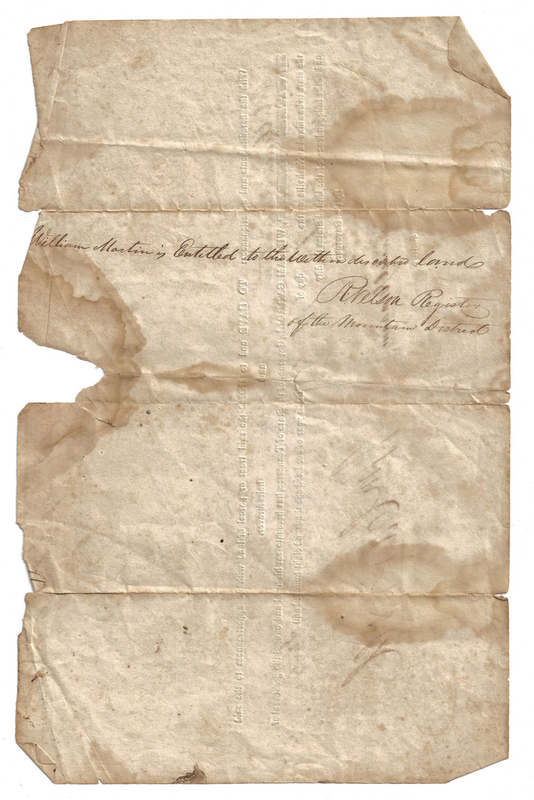 Signed "G. Drury" below the inscription. 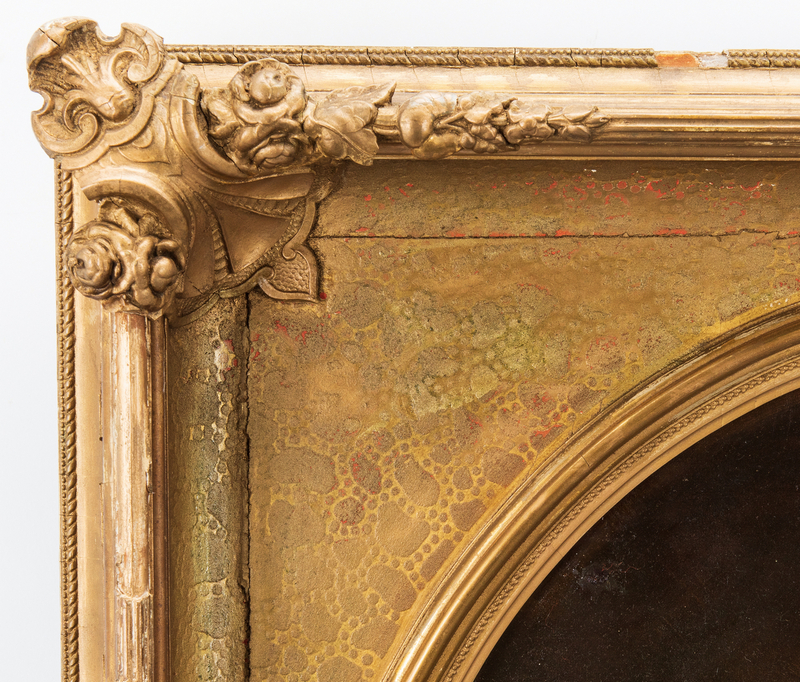 Painting is housed in an elaborate giltwood and composition period frame with an oval opening and textured surround. 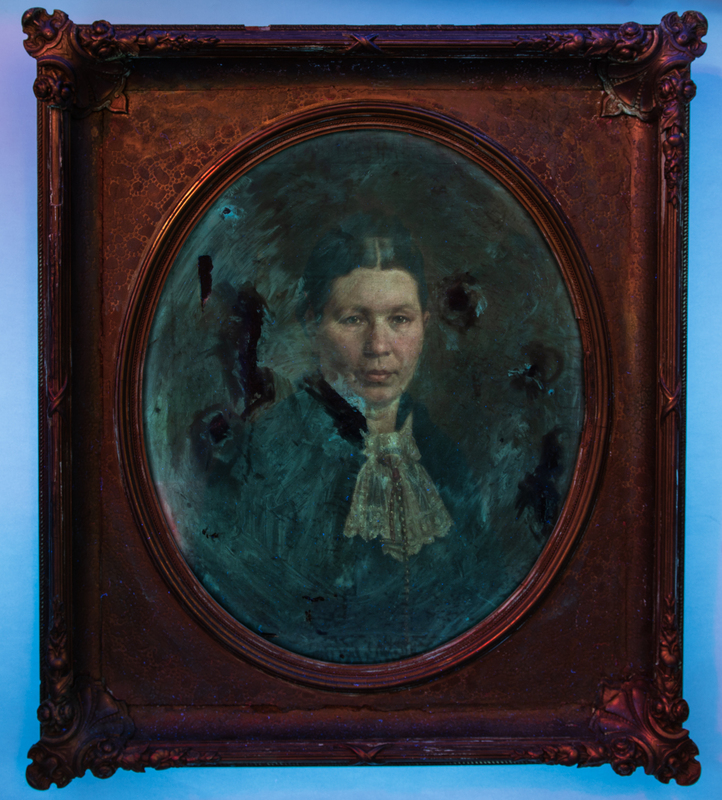 Sight – 28 3/4" H x 22 3/4" W. Framed – 40" H x 34 3/4" W. Note: George Dury, who studied art in Bavaria before immigrating to Tennessee, was one of Nashville's most important 19th century portrait painters. His work is rarely signed. 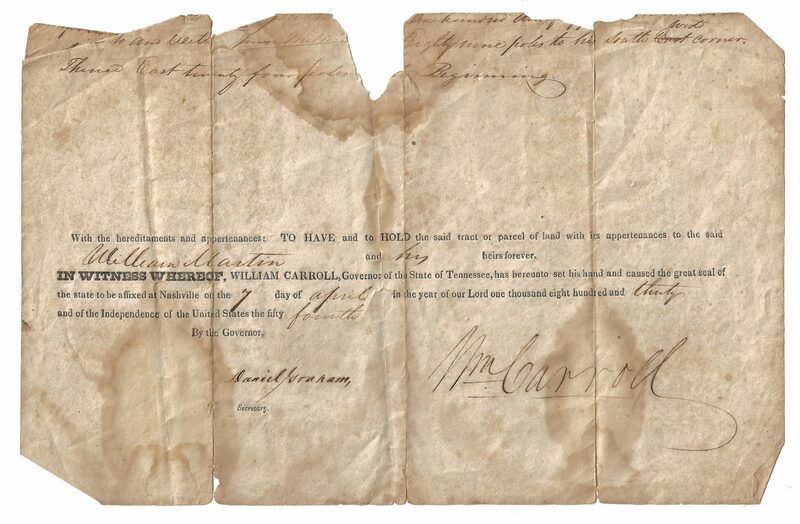 2nd item: Lower section of a Governor William Carroll (1788-1844) signed land document, granting William Martin land in Tennessee, dated April 7, 1830. 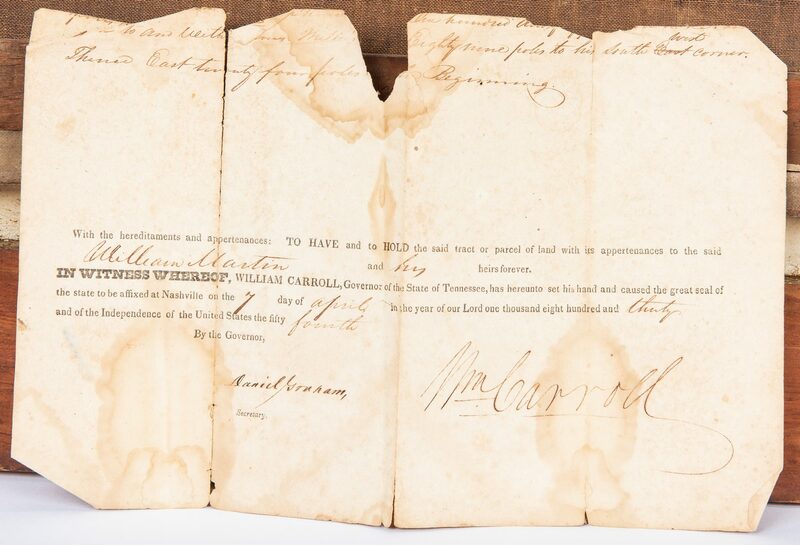 Also signed by Daniel Graham (1789-1869) Tennessee's first Secretary of State from 1818 to 1830. 8" H x 12 3/8" W. CONDITION: 1st item: Canvas is embrittled with buckling. Several repaired areas with inpainting and patches en verso, largest 5"L. top left. 2 1/2"L. hole in canvas top left side with patch behind. Scattered losses to frame with newer gilt touch up. 2nd item: Overall good condition with foxing spots, tears, largest 3 3/8", along fold lines. 1 1/2" x 1 1/4" area of loss, top center. Areas of dampstaining, largest 3 3/4" x 4", to document. 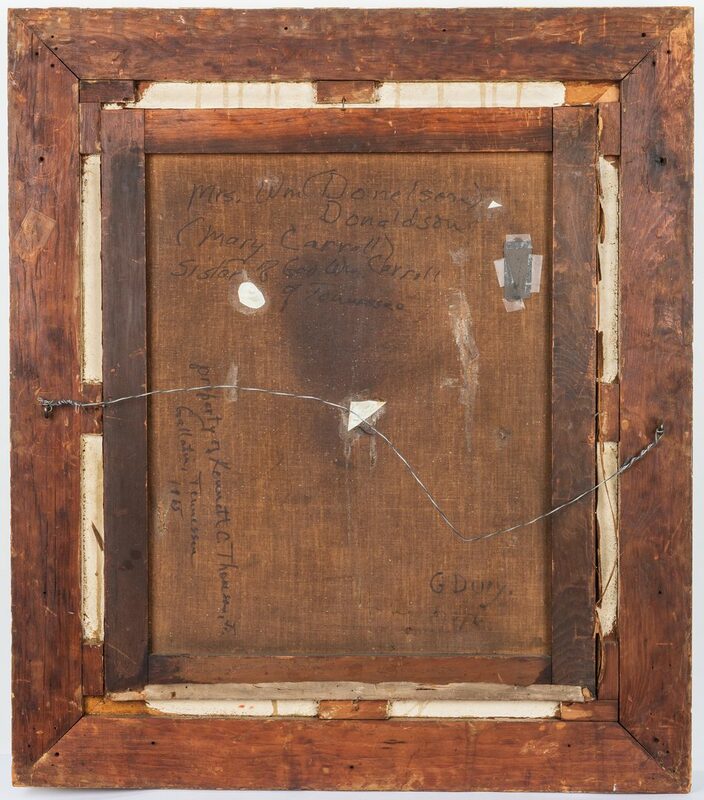 Carroll and Graham signatures in good condition, slightly affected by dampstaining.